Please enjoy a D’var Torah this week from Jared Skoff, Rosh Tikvah 2017, 2018 and 2019. 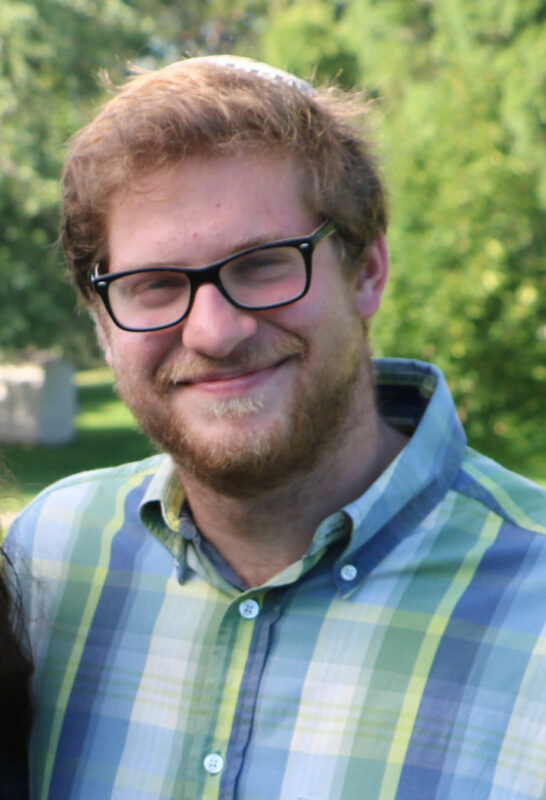 Originally from Cleveland, Jared spent the past four summers at Ramah Wisconsin, after working at Ramah Canada for three summers. This is Jared’s third year working year-round for Camp Ramah, first as a Ramah Service Corps Fellow in Detroit, and now as the Program Director at the National Ramah headquarters in New York City. There are now two documentaries out on Netflix and Hulu providing in-depth coverage of the Fyre Festival, a luxury music festival on a private island in the Bahamas. The Fyre Festival and its associated documentaries have gained much attention because...the festival never happened. After being lured by endorsements from high-profile models, music stars, and socialites, the concert-goers, spending between $500 to $12,000 per ticket plus airfare to the Bahamas, arrived to a weather-stricken island with no musical acts. Instead of villas, they slept in FEMA tents with rain-soaked mattresses and no running water, eating cheese sandwiches, and waiting to return home. Irony sells. Irony, the disparity between expectation and reality, is not only a source of entertainment, but a concept widely emphasized in Jewish tradition. How do we respond when our reality looks so radically different from our expectation? What is our moral obligation to bridge the ideal with the real? The Torah contrasts the ideal of last week’s reading – the inauguration of the Mishkan’s holy sanctuary and the installation of the holy priests – with the reality of this week’s reading: the impropriety and demise of Nadav and Avihu, two of those priests. We do not know exactly what happened, but based on a simple reading of the text, the two priests made an improper offering to God; they kindled a “strange fire” that ended up killing them. This parashah is called “Shemini” (eight), indicating that this is what happened on the eighth day after a seven day ceremony/festival of inauguration. After these new leaders were praised and celebrated for days 1-7, on the eighth day they failed mightily, even in the modest task which was their charge. The title Shemini is a deliberate irony, as if to say: after seven days of holy celebration, don’t ask what happened on day eight. When our expectations fall flat, we carry an ethical imperative to respond and learn from our mistakes, to bridge the real with our ideal. As informed citizens we learn from the story of Nadav and Avihu that we must impose checks and balances on the power of our leadership. As consumers, the Fyre fiasco teaches us to do our research; as camp professionals, it teaches us to always prepare a rain plan. At Ramah, our ideal is to develop a lifelong community for our campers as they grow up. This is what we talk about during shavua hachana (staff week): days 1-7. We want to inspire our campers to engage seriously with Judaism and be proud of their Jewish identity. We want every member of the community to find their place. Our staff week ends and then comes Shemini, day 8 – and the campers arrive! Days 1-7 are filled with aspiration, but on day 8, the real work of camp begins. The staff learn to balance the mundane of day 8 ("boker tov, tzrif dalet, time to wake up!") with the inspiring ideals expressed during staff week. We strive to bridge the daily details with the aspirational goodness of our ideal. This weekend in Jerusalem, Ramah is celebrating the fiftieth anniversary of the founding of the Tikvah program. In 1969, Herb and Barbara Greenberg created the Tikvah program at Ramah New England, and Ramah Wisconsin followed soon after in 1973. Visionaries like Herb & Barbara Greenberg at Ramah New England and Janet Robbin at Ramah Wisconsin dedicated themselves to bridging the gap between the ideal and the real. Thanks to their work, all Ramah camps now have inclusion programs. We as Ramahniks take pride in Ramah’s history of recognizing the disparity between the ideal and the real, and taking radical steps to bridge that gap. I hope and pray that Ramah continues this pattern for the next fifty years and beyond.